The twin transducer type incorporates two microphone housings on a flexible rubber moulded cable assembly designed to fit comfortably without undue pressure. Two microphone elements are fitted so as to provide maximum sensitivity where this is required. Specifications: Transducer type: moving iron. Sensitivity (into 300ohms load): -50dB re 1V for nominal speech. Total impedance: 300 ohms. Frequency response: rising to approx. 2.5kHz for higher intelligibility. Noise exclusion: a white noise sound field of 120dB produces an electrical output 6dB less than the speech output quoted. The RA-440 Throat Microphone Element is a comfortable, ruggedized, tropicalized and lightweight microphone is perfect for many tactical applications. The Throat Microphone element is sensitive enough to pick up even a whisper and will provide you with clear and consistent communications. Typical applications include armoured vehicles, helicopters or fixed wing aircraft, naval vessels, ground. The Tactical Throat Microphone comfortably fits around your neck and has an adjustable elastic straps which are fastened with a hook and bar. In use, housings for the microphone elements are located each side of the throat. 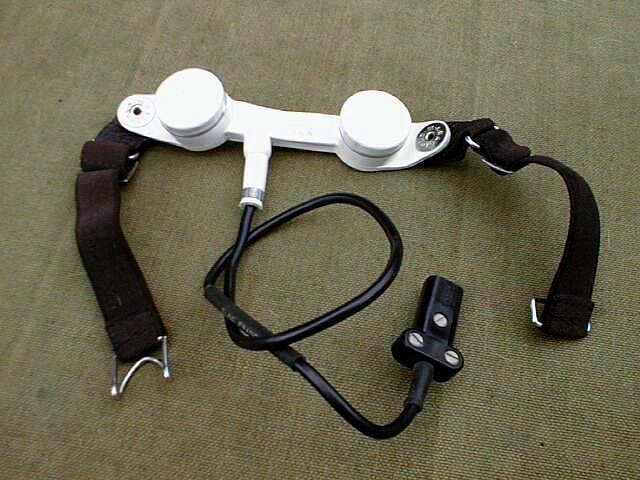 Soft leather microphone pads are provided giving low contact pressure. As a result wearer comfort is maintained during long periods of use. The RA-440 Series of throat microphones is based on two types of microphone construction. The single transducer type is of plastic moulded, hinged construction and the twin transducer type is of flexible rubber moulded construction. Both types of microphones are terminated with a JJ-055 Connector for direct connection in to a H-161M Headset Microphone Cable Kit, or other equipment.